The More The Merrier: Single’s Day Promotion! Folks, this is this time of the year again! And actually, our first Single’s Day with you, because until earlier this year, we didn’t have any product dedicated to our asian customers. 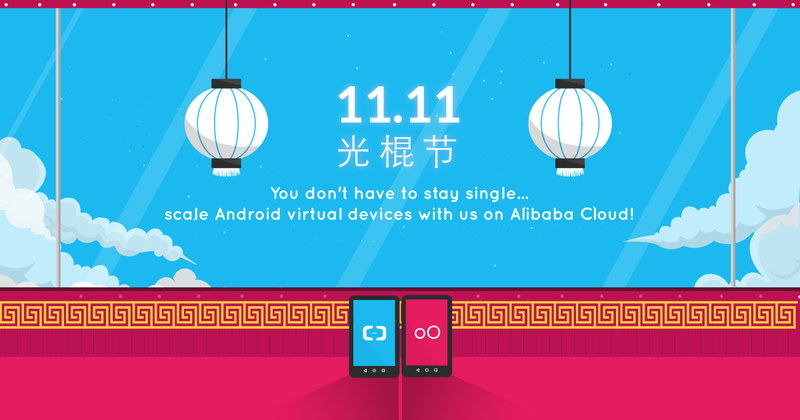 Now, this gap has been filled, and we’re proudly offering our Android Virtual Devices on Alibaba Cloud, on demand! Haven’t tested them yet? Give it a try now and take advantage of our Single’s Day promotion: it’s not even a discount, it’s a FREE TRIAL. What’s not to love, right? There’s a Quick Start Guide for the newbies, which should help you set up your virtual devices in a minute.